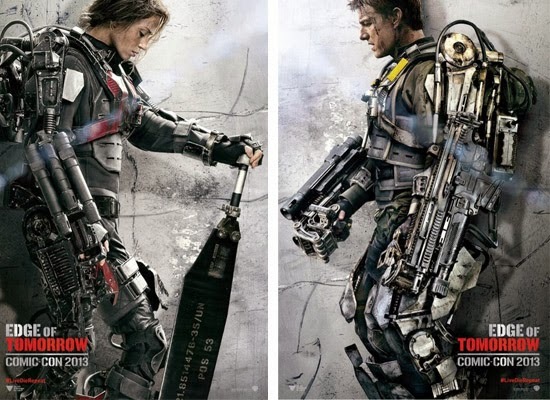 Tom Cruise stars as a soldier in upcoming action movie 'Edge of Tomorrow' opposite Emily Blunt. The movie sees Cruise fight aliens but repeatedly dying and reliving the last day of battle in some weird time loop. Directed by Doug Liman (of The Bourne Identity), the movie definitely captures some of that style. It seems like an interested premise, albeit done before, but we'll see how this one pans out.